US auction house Hart Davis Hart began its autumn season with its biggest ever auction, which was 100% sold and netted a grand total of US$16.7 million. Taking place in Chicago earlier this month, the sale took three days and was expected to bring in a high of US$15.9m. In the event, bidding from around the world drive 67% of the consigned lots above their pre-sale high estimates and to the final total of over US$16m. The sale was dominated by several large collections and featured fine wines from the world’s great domaines and across multiple regions. Notable highlights included three bottles of 1978 Châteauneuf du Pape Cuvée des Célestins from Henri Bonneau (US$13,145), Jeroboams of 1986 Lafite (US$11,352 apiece), a Melchior (18L) of 2005 Cheval Blanc (US21,510) and an imperial of 1989 Haut-Brion (US$20,315). That said, Burgundy absolutely dominated the sale both in the scale and quality of the consignments and the prices realised for them. 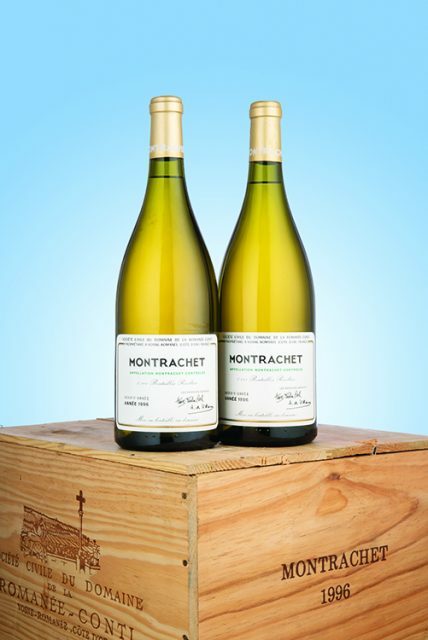 The sale’s top lot were six magnums of 1996 Montrachet from Domaine de la Romanée-Conti which went for US$113,525, while 12 bottles of Domaine Leroy’s 1991 Musigny and six magnums of Armand Rousseau’s 1991 Chambertin Clos de Beze made US$107,550 apiece (with the latter also one of the lots that exceeded its asking price the most). Other top lots included magnums of Rousseau’s 1991 Chambertin, Jeroboams of 1971 La Tâche, a case of Leroy’s 1990 Richebourg and an assortment of 1990 DRC. Those lots that exceeded their high estimates included Domaine Leroy’s 1990 Musigny, 1996 Echézeaux from Henri Jayer, and 1971 Clos de la Roche from Domaine Ponsot. HDH’s next sale in October from 11-12 of that month will be a mobile-only auction while in November it will be hosting its annual ‘Celebration of Bordeaux’ sale.